Sporting superstars have often landed themselves in the middle of controversy just because they decided to give an honest opinion on something rather than skirt around the issue; or alternatively say something that is politically correct and try and dodge the situation. McIlroy faces a similar situation when asked about going to Rio for the summer. Just take the recent cases of Rory McIlroy and Ian Poulter. 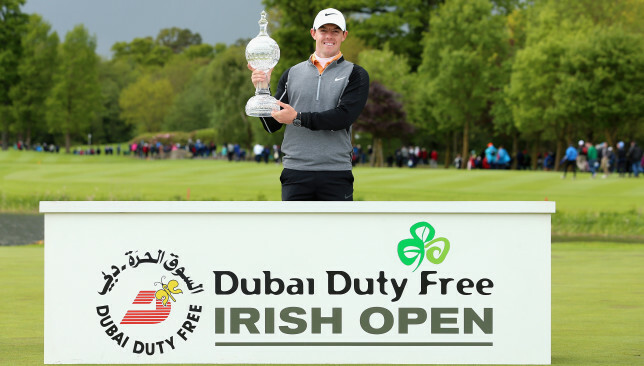 McIlroy, who won the Dubai Duty Free Irish Open on Sunday in such stunning fashion, is facing some heat because he said he might reconsider his decision to go to Rio for the Olympics because of fears over the Zika virus. McIlroy could have simply said he was going, and pulled out later, but instead, he said he was monitoring the situation and added: “Right now, I’m ready to go but I don’t want anything to affect that.” By “that” he meant getting married to fiancée Erica Stoll and starting a family soon. The Zika virus is linked to brain deformities in newborn babies. Almost every report has made it seem like a crisis situation has developed. It has left fans wondering if the real reason is the scheduling crisis that most golfers seem to be facing because of the inclusion of the Olympics. I really think that is unfair to McIlroy. It is difficult to ignore the threat when the media is full of stories about the virus, and organisations like the Centre for Disease Control in the US is devoting numerous pages on their websites on it. I know some fans will be disappointed that I'm not playing at Wentworth, sorry but I have to be selfish and play on a course that suits me. The Englishman is taking a beating on social media platforms after that, but Poulter clearly has a point. In 13 starts at Wentworth, he has made the cut on only five occasions, with a 10th place in 2012 being his best finish. Clearly, he is not giving up on the tournament and I am sure he will be happy to sign up if it is moved to a different golf course. Also, Poulter is not quitting on the golf course after just a couple of tries. He has actually given it several honest attempts. Fans expect to see the best players in action in events like the PGA Championship, but what is the point when the golf course clearly does not suit their game. It would be pointless for Poulter to show up and not give it his best shot. You can call him the Andy Sullivan of the PGA Tour. Just like the Nuneaton golfer on the European Tour, James Hahn could have had a career in a department store, before finding and dedicating himself to his true calling – professional golf. Sullivan ditched a job stacking shelves at Asda in England, while the Seoul-born American had enough of selling shoes at Nordstrom. Both have the biggest smiles on their respective Tours, and the fact that both are multiple winners does play a small role in their happiness. Hahn, who is famously known for breaking into Gangnam-style dance after hitting good shots on the golf course, is the ultimate happy-golucky golfer. Two things stood out about his second PGA Tour win recently at Quail Hollow – he won after eight successive missed cuts, and two, he is the first winner for the new equipment manufacturing company, Parsons Xtreme Golf (PXG). PXG is one of the most interesting companies in the sport right now. It is founded by Bob Parsons, a millionaire several times over, who has ensured there is no cost spared in developing the most high-tech clubs in the business. A set of PXG retails for $5,000 and upwards. Parsons has time and again reiterated that making money from PXG is not his aim… all he wants to do is built better clubs that will make golfers happy playing with them. In Hahn, he already has got very happy golfer. We love playing the golf course but there’s more to modern golf than just the course. Gone are the days where you can discriminate in a club. The R&A have a bigger responsibility to society, and they have done the right thing. – Two-time Open champion Padraig Harrington on R&A’s decision to pull Muirfield from Open Championship rota after they failed to vote in favour of allowing female members. this week’s Dean & DeLuca Invitational (known as Crowne Plaza Invitational until last year). There are nine other PGA Tour events that are older, but all of them have changed courses. Route 66 to lead: Antonio Costa. The 16-year-old Thomas, who shot a six-under par 66 to finish second overall last week at the Mountain Creek Open, was just one shot behind the first-round leader Antonio Costa. The 27-year-old Chilean rattled off four birdies and an eagle in his flawless opening round, highlighted by impeccable approach shots, as England’s Stuart Archibald joined Thomas in tied second on five-under-par 67. American Barry Henson, who finished in a tie for 34th at last week’s Mauritius Open, and Englishman Craig Hinton were a further shot back on four-under par 68, one clear of a six-man group which included MENA Golf Tour’s Order of Merit leader Zane Scotland and fellow Englishman Miles Tunnicliff, a twotime winner on the European Tour. Thomas, who is currently leading the MENA Tour’s Order of Merit for amateurs, described his 67 as one of his best rounds on the Tour. “I don’t think I left any shot out there. I played just solid golf,” said Thomas who is now ranked 1244th among the professionals in the world courtesy the 1.8 world ranking points he earned last week. But it was Costa who took centre stage with his personal best score on the MENA Golf Tour which he joined earlier this year. “I struck the ball consistently well and felt very comfortable with my long game. All my approach shots were close, to within 10 or 12 feet, which was great,” said the Chilean, who eagled the par-5 eighth hole after smashing his hybrid from 220 yards to within 10 feet. The English trio of Luke Joy, Fredrik Edmunds and Scott Campbell, and Swede Fredrik Lindblom completed the group sharing sixth place on 69. 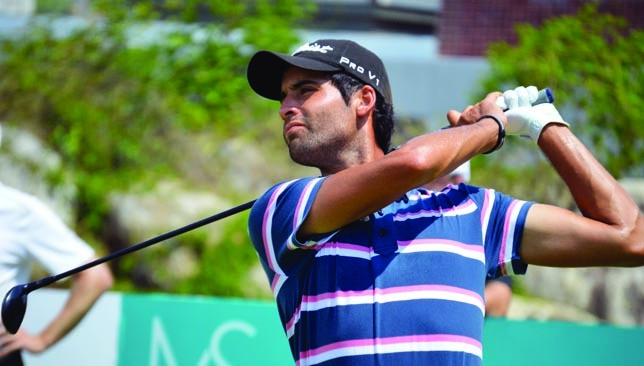 Last week’s winner Wolmer Murillo started with a 70. Luke Donald dropped to 92 in the world. Luke Donald hasn’t enjoyed the best of form over the past two years. The former World No 1 dropped down to 92nd in the world rankings and even contemplated retirement. He missed the Masters this year for the first time in 12 years, but since then he has been fighting back. He finished runner-up at the RBS Heritage tournament in April. Do you think Donald will be in Europe’s Ryder Cup team? Share your thoughts using #360fans.